Wonder why I led with this? Other than it being my Grandmother and mother’s favorite song and it brings beautiful memories. Our topic this week is the Most Beautiful Place I Have Ever Been. Since I haven’t been a lot of places I chose the one thing we look for when we vacation and that is a botanical garden. My husband got me hooked on them when we took our first vacation together. It was to Chicago. I never had been so he thought it would be nice for me. We went to museums which I loved, The Zoo. The aquarium and Pier, but of all the places we went there my favorite was the Botanical garden. We walked for hours, sat and watched the birds and butterflies. It was summer and there were lots of flowers blooming. My favorite was the rose gardens. Another great vacation was St Louis. We saw the arch, Zoo, museums, but again my favorite was the Botanical gardens. One year it featured statues by an artist, the next was some glass features. We walked in and it took my breath away. I choked up with tears of excitement. my hubby still teases me for crying when we walked in. All of this glass hanging around like spheres or sitting around was gorgeous. We always would splurge and eat at the cafe. I would get a garden fresh sandwich made on fresh baked bread and veggies grown there, like squash,mushrooms and eggplant. It was delicious. It looks like this year they are having glass and Metal art. I wonder if I can get a stop there on the way home from dads. So give me a botanical garden and I am one happy girl. Whats the most beautiful place you have ever been? 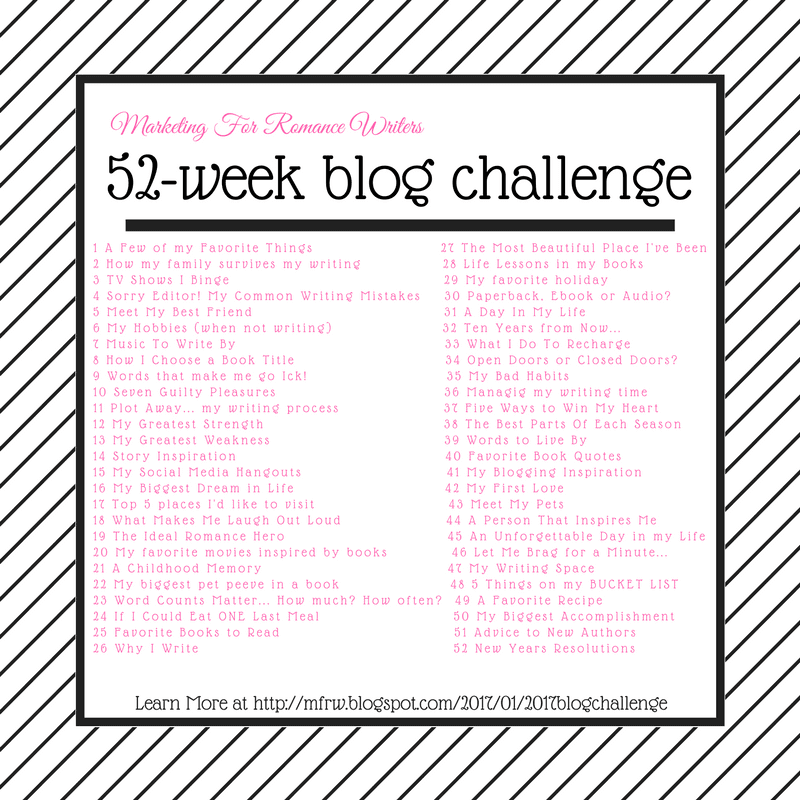 This is The MFRW 52 week blog challenge week 27 so don’t forget to go see the other authors most beautiful place they have ever been. I would love to go to Butbhart gardens. I have a friend near Salt lake City and some day hope to go see her I will have to add this to the list with the Zoo and Aquarium lol. The Rose Gardens of Syracuse, Winterthur when the leaves are out and the flowers are teasing us are two gardens I’ve been too. Thanks for the memory. Have put the gardens in St. Louis on my list. Live near there and hope to visit soon. Interesting choice, Cathy, but it makes perfect sense and is a great idea when you are anywhere… just look up the local Botanical Garden and pay a visit! The Detroit Zoo has one, along with their Butterfly exhibit, and like you, I just sit down and gaze. Thanks for sharing! I love your beautiful place, Cathy. How sweet of your husband to show you the first one. Tranquility mixed with the beauty of a botanical garden makes the perfect place. I’d love to see the statues and glass display. I hope you get to see the metal art. I love flowers, so I think botanical gardens are a great choice. We’re headed to Chicago this summer, I’ll have to check out their gardens. I agree, the botanical gardens (in whatever city) are a fabulous escape from the bumps and grinds of life. Great post.